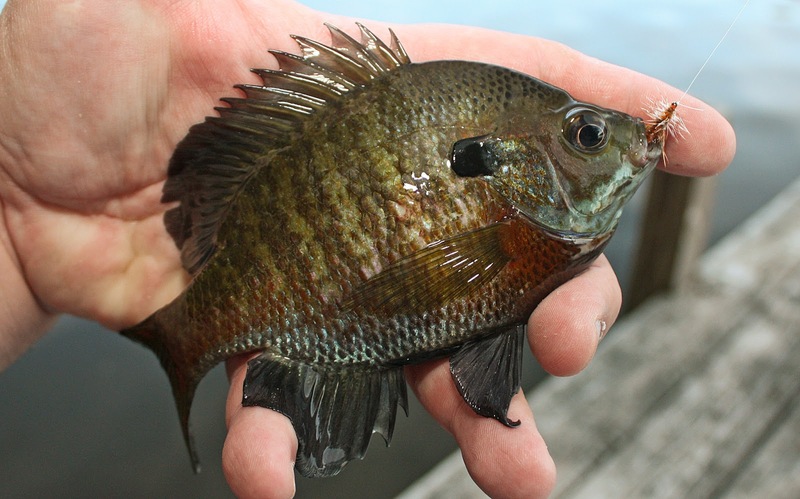 And with the way the rain keeps coming - these little dock caught panfish might be the only game in town. Do you remember your last fishing trip? I don't. That's how long it's been since the weather gods began conspiring with the river gods to wash away the latter half of spring. Imagine - weeks of what is arguably the most productive few months of the season - lost in a deluge of rain and drowned in the swollen currents of the river. And I had such high hopes. The hendricksons came off precisely on cue. 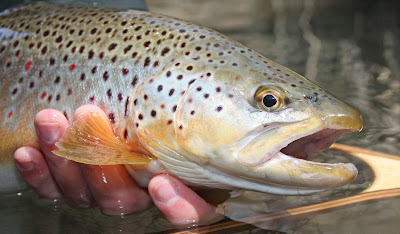 Mother's Day caddis were everywhere - including up my nose and in my ears. 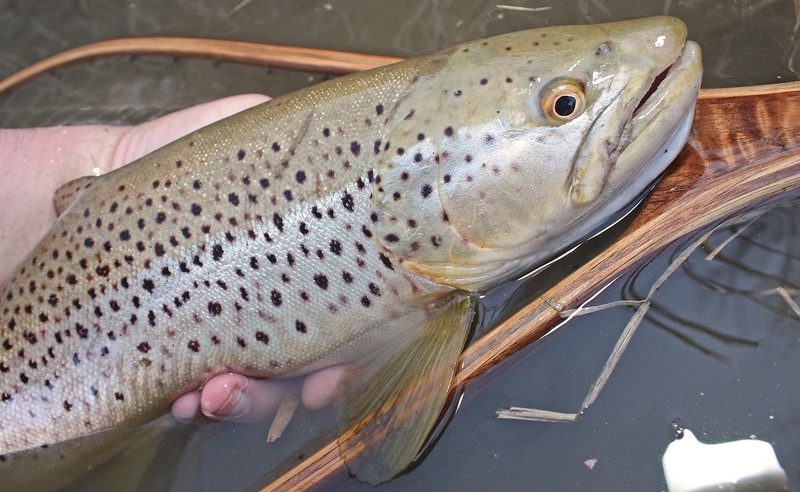 Drakes were popping on the Delaware. She was going to be a glorious season. Glorious. 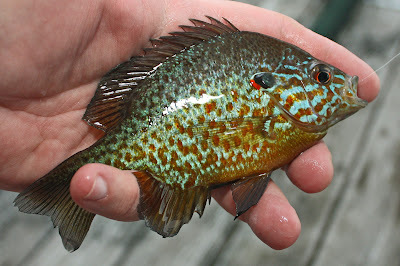 The past few weeks have left me in a stupor; either traipsing about the house like one of the walking dead or angrily pouting in front of my computer screen (torturing myself by gawking at fishporn from around the world brought to my doorstep via social media). My wife thinks I need to get over it already. "You can always tie flies," she says. I've been tying flies nearly every day since December. My boxes are full. My friends' boxes are full. 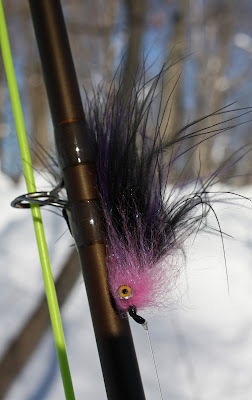 I've already started on next season's steelhead assortment, and I'm precisely seven purple marabou plumes away from madness. I don't need to tie anymore flies. I don't want to ties anymore flies. I can feel the itch behind my eyes, under my skin, in my veins; it's only a matter of time before I break out in a sweat - retching until my guts hurt. I need time away from the tying bench. I need time on the water. I need to fish. And today - the first day of summer - might just be the day. The rivers are finally low enough to fish, and while there are thunderstorms in the forecast they do not appear to carry with them the type of sustained rain that will put the rivers off for several more weeks. We're hopeful. Some time ago, I wrote to announce Orvis' introduction of a limited production, Hardy made CFO fly reel. In that post I remarked, "... if I was especially brave, I might even throw a line on one, carefully mount it to my old Far and Fine, and fish it at the height of the hendrickson hatch." I am now the proud owner of one of these reels - a gift from friends - and I am so very impressed by the fit and finish of this latest CFO that the collector in me won't let me fish her; although, I am certain the reel would perform supremely well if I did. With time, she (this latest incarnation of the CFO is definitely a she) is sure to prove every bit as collectible as her older, more sought after sisters. 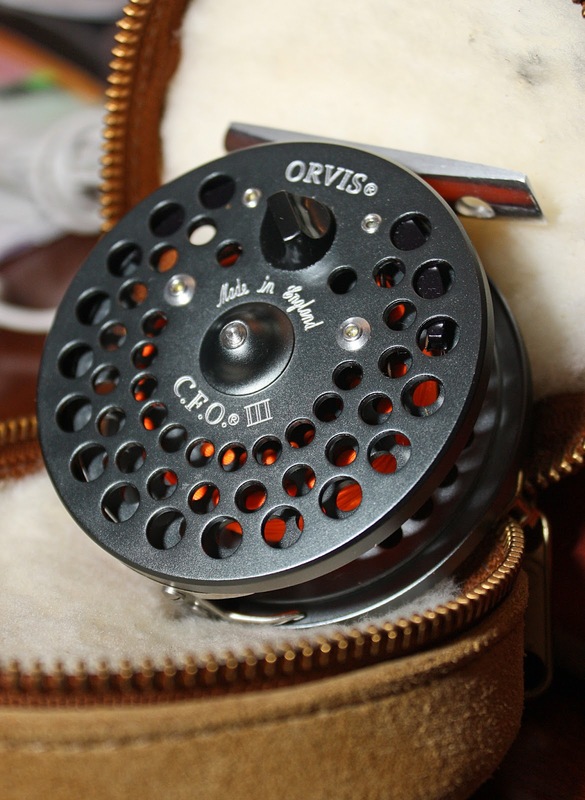 The new Orvis CFO is in every way the equal of the reels that were manufactured by Hardy throughout the 1970s and 1980s. Her check system is identical to that of her forebears as is the porting across the frame and spool. 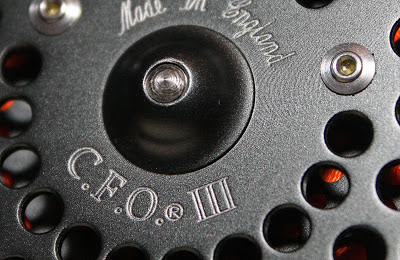 The spindle cap matches that on the second generation of CFOs, and the rivets protruding through the frame are almost certainly a nod to those of us who recognize those rivets as the hallmark of a Hardy-made reel. The finish - unlike anything I've seen on any other reel - seems much more durable than that on the CFO's older counterparts. The color isn't quite the same as we've seen on previous reels - either Hardy or BFR; it is a deep grey with shades of blue and green that become more pronounced as the reel reflects light. She sparkles in a way that older CFOs do not. To my eye, this latest reel is one of the most attractive of the CFO's many variations. I am sure to be accused of shilling for Orvis if I don't discuss the reel's Achilles heel: the price tag. At $695.00 the latest CFO is a very costly spring and pawl reel and certainly not for everyone. Truthfully, there are reels to be had for a fraction of the cost that will perform every bit as well. As a consequence, I have to believe that this reel is aimed at collectors who enjoy the CFO as I do. This reel is a remembrance of the CFO's heritage and a reminder of a time when the words "Made in England" were synonymous with both the House of Hardy and an expectation of quality. For my part, the new CFO's perceived value or collectibity is of little consequence. I enjoy the symmetry, form, and function of objects that are cleverly designed and very well made. In its allegiance to the CFO's past, this latest collaboration between Orvis and Hardy is just that - a perfect marriage of form and function.